It seems to be Apple Fashion News Day. 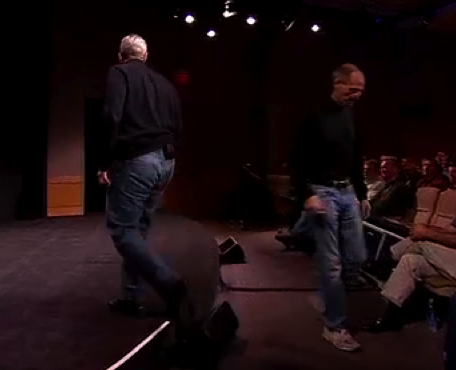 Isn’t it odd how Steve Jobs and Tim Cook dressed so alike at the last Apple event? 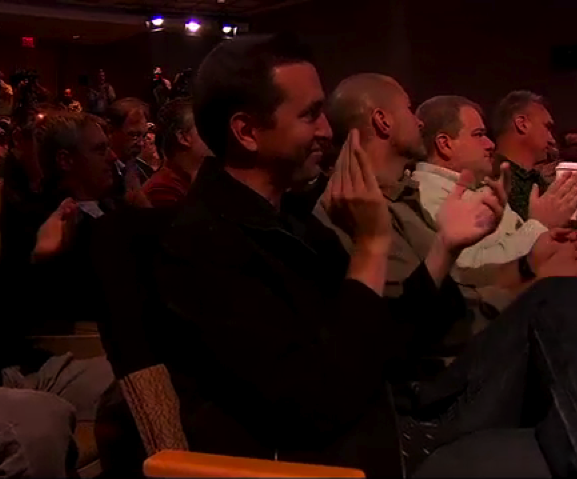 Even Scott Forstall got in on the black shirt/blue jeans look too. I wonder if a requirement of Jobs’ successor be that he look good in that outfit. 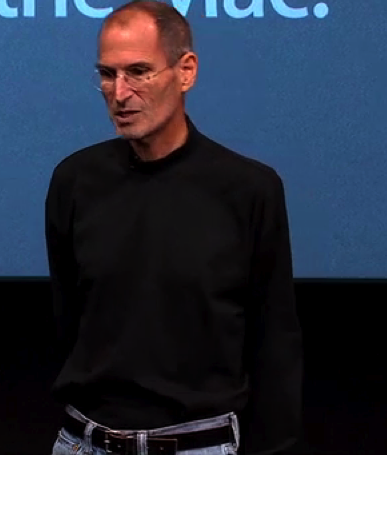 For years, people have joked about Steve Jobs’ preference (obsession) for a specific outfit. Now someone’s decided to make it a halloween costume. One other new item to the exclusive wardrobe is this: a belt.